Carol Jean Woods, 83, of Indianapolis, passed away on December 3, 2018. Carol is survived by her daughters and sons-in-law: Donna Cummings of Cleveland, Ohio, Debbie and Andy Held, Susie and John Gibbs all of Indianapolis; grandchildren: Jolene, Shad, Jonathan, Elizabeth, Andrew; 7 great-grandchildren; a close cousin: Nancy Wiese; and a host of other family and friends. Carol was preceded in death by her husband of 66 years: Daryl Woods. Visitation will be on December 8, 2018 from 10 A.M. until the Funeral Service at 12 P.M. at Newcomer - Indianapolis Chapel, 925 E. Hanna Ave., IN 46227. Interment will follow at Acton Cemetery, please visit www.NewcomerIndianapolis.com to sign the guest book. To share a memory of Carol or leave a special message for her family, please click the "Share Memories" icon above. Add your memories to the guest book of Carol Woods. Her strength may not have been physical, yet she had strength of mind, character and spirit. She possessed the power to endure. Mom never gave up or stopped trying to be a good wife, a good mother, a good grandmother, a good great-grandmother, a good friend and a good patient. Mom was understanding, of the needs and emotions of the people in her life and she was wise to never judge. Mom could sew anything, she was the best cook, her flower gardens were lovely and everything she made was special. Mom had a pretty mind, a heart of gold and radiant sole. Her smile was more beautiful than a sunrise. She was genuinely beautiful, both inside and out. 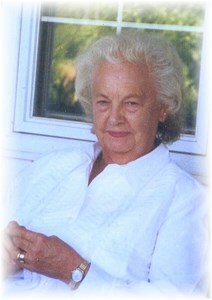 Mom had a gentleness in her touch, she was kinder to me than I deserved and always gracious to all. Mom's love could not be measured, it cannot die and I will cherish it forever.